Sygns Media > Our Blog > Uncategorized > What’s Next For The Grizzlies??? Where are the Grizzlies headed moving forward? The Grizzlies are in a bad situation right now. The Grit’n’Grind era has come to a close, officially. They couldn’t win a championship in that era. The core has left and/or aged. Mike Conley and Marc Gasol are passing their primes. Tyreke Evans played very well this season but he’s leaving. Chandler Parsons is being WAY overpaid, for the next two seasons. They don’t have much of a future besides their young, unproven players. They don’t have a lot of tradeable pieces. Plus, Conley & Gasol are lifers. But it’s a possibility. Mike Conley is their most valuable player. There’s a few teams can use him. Assuming LeBron stays with the Cavaliers, they could trade for Conley to ease the load LeBron has to carry. 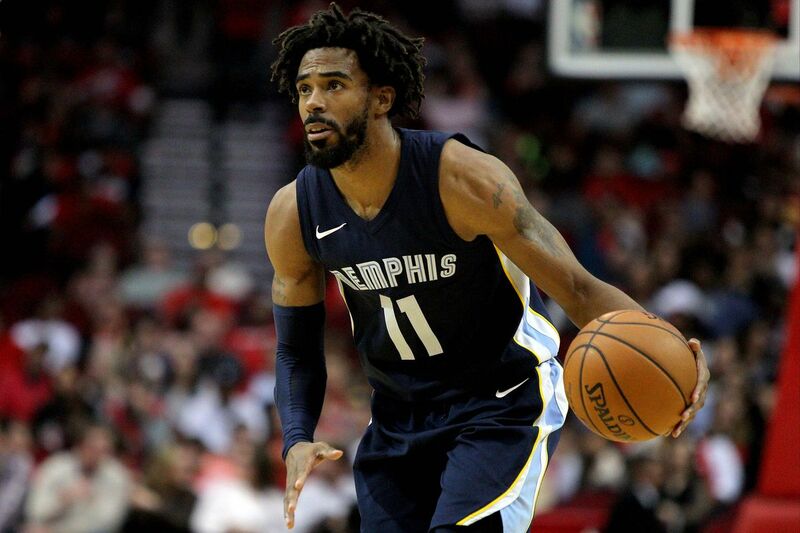 The Pistons love contracts, they might take Conley’s max contract. The Clippers don’t have a star point guard. But I’m not sure if any of those teams are willing to take that much of a cap hit. Don’t get me wrong, Conley is a star caliber player. I just don’t think he’s max worthy. Also the fact that he’s getting up there in age. He would be a quick fix, but I don’t see any teams taking him, nor do I think the Grizzlies would get much in return. Marc Gasol has been one of the most underrated centers in the league for quiet some time now. He’s a great post defender. He’s a good scorer. Above average passer for a center. He does a lot of things that you won’t see in the stat sheet. If the Grizzlies decide to go this route, there’s some teams I can see him going to. The Celtics are already a great, young team. But adding a top big man would put them over the top. Moving Horford to PF, which is his natural position, and Gasol at C. That’s a nice duo down low. And for the Grizzlies, they can get some picks and/or young players to start the rebuild. The Cavaliers could use Gasol, Tristan Thompson is… yeah. Kevin Love is best at PF. The cap may be an issue, but this would help the Cavs in the short term. Grizzlies can get some picks or simply dump cap space. I see San Antonio making a move. Although they really need younger players down low, Gasol is a quick fix. Pau Gasol at PF and Marc Gasol at C would be a nice duo. Although they’re aging, they both are well rounded and can compliment each other pretty well. Only problem is, when teams like the Warriors play small ball, they will be liabilities. I honestly don’t think they will trade anybody. Gasol and Conley are franchise players. You don’t trade the faces of your franchise unless you’re the Celtics, who finesse everyone. So they’ll most likely look to transition into a new era. Let Conley and Gasol play out their careers as they get younger pieces to replace them. Also, they’re forced to let Chandler Parsons play out his contract. Unless he morphs into Giannis or something, nobody wants him with that price tag. Just stack up draft picks and target younger players in free agency. That’s their best bet. What will the Grizzlies will look like next year?? ?